Kangxin Import & Export Co.,Ltd. is located in the beautiful harbor city lianyungang, which is near the Huang Hai sea ,and is well-known as the east end of new Eurasian Continental Bridge. On May 2003,under the authorization of Foreign Trade and Economic Ministry , we established this company .Our firm is a specific corporation mainly managing import & export business of chemicals & pharmaceutical raw material, .We have much experience in handling organic chemicals, inorganic chemicals, active pesticide, intermediate, plant extract and so on. 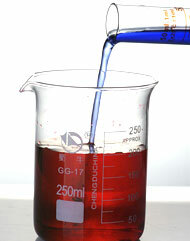 On a large scale, we mainly export food additive, chemicals raw material and active pesticide. Chronically, our firm aims at the best services and keeping promise. Our purpose is that the proportion of satisfaction for our services and complying with contract are all 100 percent. The scope of import and export, reputation of business and strength improve year after year. Copyright(C)2007,Lianyungang Kangxin Import & Export Co.,Ltd. All Rights Reserved.